Ultra Febtech Pvt. 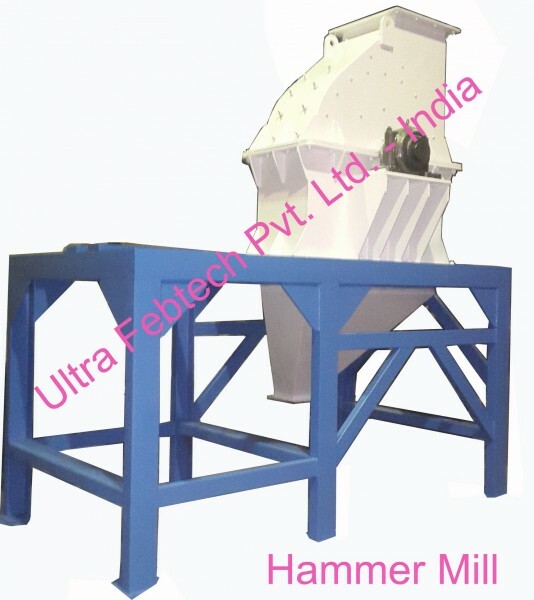 Ltd. make a Hammer mill which is used for the materials that are grounded on the impact of the hammer. The feed is at the top and while rotating in the grinding shell; it is often allied beaten by the swing type hammers fixed to the rotor. It is crushed by frequent contact of hammers and wall. A screen is round the rotor, which prevents the bigger particles to escape from the chamber. The mill is made in SS and MS.